Why Restore the Academy of Music Theatre? As is clearly evidenced by the restoration of many hundreds of beautiful historic theatres across the US and Canada in the past few decades, the economic and social benefits of bringing one of these incomparable showplaces back to life are substantial. Reopened theatres very quickly become engines for downtown development, increased tax revenues, cultural diversity and civic pride. TEN REASONS TO SHOW YOUR SUPPORT TODAY! 1. Every other significant theatre in the Commonwealth of Virginia has been restored. 2. Restore it or lose it. Development is booming in Downtown Lynchburg. Someone will grab this property if we don’t restore this theatre, and do it promptly. 3. The Academy of Music will increase retail foot traffic downtown, draw new weekend and day-trip tourists to the city, and attract relocating businesses and qualified young professionals to our Region 2000 communities. 4. It will help attract new college students and give them a reason to stay here after graduation. 5. It will help curtail the huge drain of recreational dollars now lost every weekend to Roanoke, Charlottesville and Richmond. 6. It will make Lynchburg competitive in the region’s live entertainment industry in the eyes of national artist agencies and promoters. 7. It will save one of our most heartbreakingly beautiful and genuinely historic buildings from demolition. A building that many of our parents, and perhaps yours, grew up in. 8. 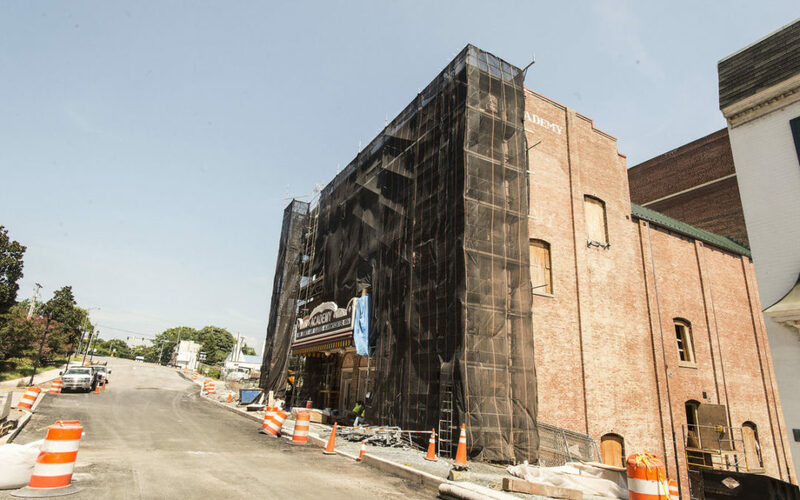 For the community’s investment of roughly $13 million in construction costs, the restoration and first years of operation of the Academy of Music will return, very conservatively, at least $63 million in Positive Economic Impact within the market. 9. The longer it takes to complete the job, the more construction costs will escalate. 10. Hundreds upon hundreds of cities and towns across the United States have successfully restored and reopened their historic theatres, and you can’t find one that wishes they hadn’t. Why? Because it’s SMART BUSINESS and it’s the RIGHT THING TO DO!